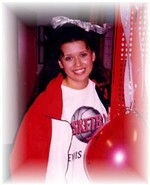 Since 1995, under the direction of Head Coach, Suzanne Stamm, the Lewis University Cheerleading Program quickly became one of the most popular Divison II Cheer programs in the nation! With the support of Lewis University's Athletics Director, Paul Ruddy, Coach Suzi transformed and enhanced the program by recruiting skilled athletes and promoting the presence of athletic trainers. 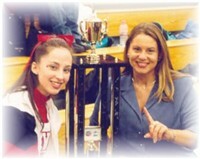 After years of dedication, determination and teamwork, Lewis University now rewards cheerleaders' hard work, skills and enthusiasm with some of the best cheerleading scholarships around. Through this strategy, the program became a huge success. Not only did the cheerleaders pride themselves on performing for and leading the outstanding athletic teams to victory but also, made appearances in collegiate National competitions. 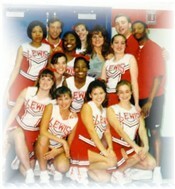 Cheerleading at Lewis University was challenging and fun. Each individual works hard to learn new and difficult skills, while the coaches actively promoted safety. Lewis University places strong emphasis on academic excellence as well as athletic ability. Lewis offers over 60 undergraduate majors, 11 graduate programs and accelerated programs for working adults. Premier programs include aviation, criminal/social justice, education, nursing and business. Most importantly, this program offered the opportunity to make life-long friendships. Just ask the scores of cheeleading alumni who first met on the sidelines of a Lewis Basketball game and still keep in touch with their former teammates. If you are a cheerleader or know of one that strives to be the best, Lewis University may be for you - a medium sized school, with the best all around academic and athletic programs in the country. "Action without planning is the cause of all failure. Action with planning is the cause of all success."